Galvanic cells derives energy from spontaneous redox (oxidation-reduction) reactions. Electrolytic cells involve non-spontaneous reactions, and thus require an external electron source (for example, a D.C. battery). Both Galvanic and electrolytic cells will consist of two electrodes (anode, and cathode), and an electrolyte in which the two electrodes are immersed. Galvanic cells are traditionally used as sources of DC power. The reaction at the anode is a source of electrons. The anode is the negative terminal for the galvanic cell. Below is an example of a classic AA battery. Galvanic cells have a positive EMF. The negative value for ΔG° indicates the spontaneity of the reaction. The larger the value for ΔG°, the further the reaction has to shift from it’s standard conditions to reach equilibrium. This gives an indication of how favorable a reaction is. This is an electrochemical cell that uses external energy (external power source) to drive a normally non-spontaneous reaction. That is, to apply a reverse voltage to a voltaic cell. In comparison to galvanic cells, the electrodes of an electrolytic cell can be placed in a single compartment containing the molten of aqueous electrolyte. Since the external battery is what drives the electrons through the circuit, the electrodes will match the positive and negative terminal of the battery. 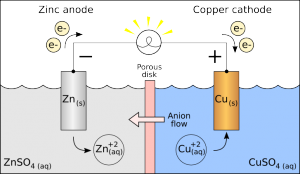 While the anode remains the site of oxidation, it becomes the positive terminal, and the cathode becomes the negative terminal. 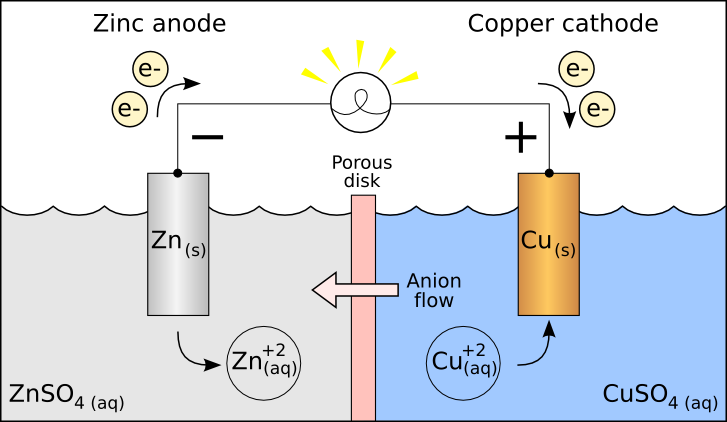 Electroplating always occurs at the cathode. Question: How much platinum metal in grams is deposited when 5 amps of current is passed through an electrolyte for 1 hour? * Platinum forms a 2+ ion, so there are two moles of e– consumed. Divide by 2 to get moles of platinum produced.